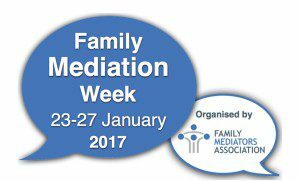 This week is family mediation week. Promoting accredited mediators, advertising on prime-time television, and greater endorsement by solicitors and judges are some of the initiatives being discussed as part of this year’s Family Mediation Week to encourage greater take-up of this alternative dispute resolution process. Starting today, the annual fixture gives law firms, mediators, and other organisations the opportunity to raise awareness of mediation with events taking place throughout the UK. Mediation is known to be a quicker, cheaper, and less stressful means of resolving disputes with parties given more control over the process. But despite changes in the law, including compulsory mediation information assessment meetings, it is still not getting as much traction as supporters believe it deserves.